Ricky Summers and Andre Sterling will meet in a British Light Heavyweight Title Eliminator on the stacked O2 London show on Saturday, 23rd February. 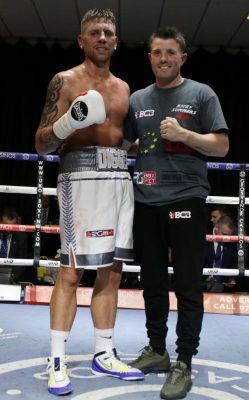 For 31-year-old Summers, who hails from Tipton in the West Midlands, he has already come within touching distance of the British title after challenging for the title against then Champion Frank Buglioni in July 2017 at The O2. “I bounced back in the right way after the Buglioni fight. I lost that night because of experience. Frank wasn’t a better fighter, but he had already boxed on the big stage. Now I have that experience of having already fought at The O2 to take into the ring with me this time. That’s going to be invaluable. I’ve been waiting for this opportunity to get back in the spotlight, and I’m going to take my chance this time. There’s a lot on the line: the loser has nowhere to go, while the winner has bigger things to plan for.